For my birthday, my mom and sister-in-law made an appointment to go get pedicures! 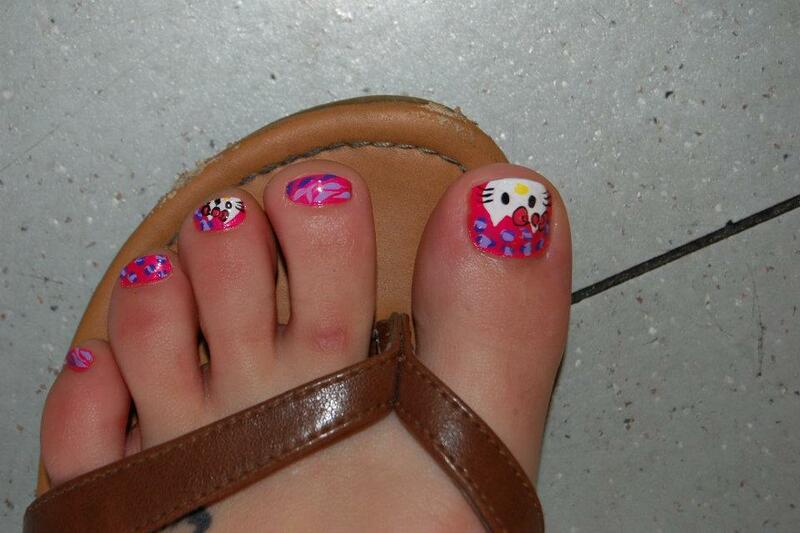 Can I just say…best pedicure I have ever gotten! They took their jobs and nails as if it was an art. They did a legitimate massage which felt so amazing. My calves and feet needed it. I got to pick from a giant book of what design I wanted on my toes. And I am quite an indecisive person…which was a challenge. However, I decided to get something that I could not get at home or in London. BEST DECISION EVER! I am obsessed with them! Yes, I know that I just wrote an entire blog about my toes…but I am a girl…and this is a Blonde’s P.O.V. Soooooo I like my toes today.